In the match Hanoi had 27 shots, but they didn’t manage to score a single goal. The V.League champions were very unlucky in this game. Hoang Vu Samson had the chance to score from short-range with an open goal but he failed to find the back of the net. Yangon United had a good game in terms of their approach and tactics. They focused on defending and then used the speed of their strikers to hit Hanoi on the counter-attack Their goal came from a situation like this. 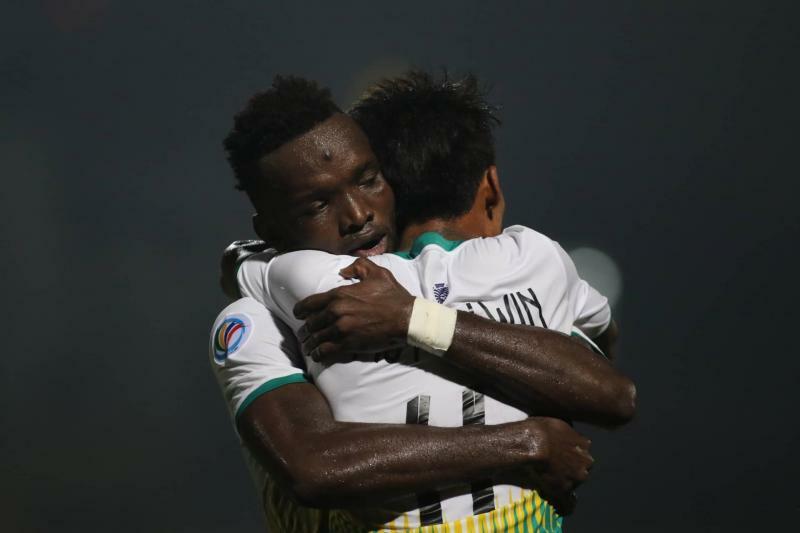 In the match against Yangon, Hanoi FC decided to rest some key players like Nguyen Quang Hai and Tran Dinh Trong. This decision made the team weaker than normal. In the second half, V.League champions lacked invention and attacking ideas without Quang Hai at the midfield. Hanoi FC are now second in the group with only 4 points from 3 matches. In the tournament’s current format, only the group’s winners secure automatic qualification to the next round, while the runners-up will be forced to rely on the precarious second-placed rankings. It is quite possible that they will need to win all 3 remaining matches to qualify for the next stage. Most Vietnamese fans thought that Hanoi FC would easily beat Yangon, and the final result came as a major shock. After the match, the fans felt very upset and disappointed. This even led to some speculation that the players had gambled on the result and looked to gain money from the match. Regardless of the reason, Hanoi fans are rightly disappointed after the abysmal showing from their team.